It is almost Christmas Time! We all wonder how do I choose the right computer for that special someone. Well in this article Geekazoidtech is going to tell you some tips on how to buy a new computer. Keep Reading! Choosing a computer can be as challenging as buying a car, and often the same questions need to be asked: what are you buying it for, what would you like to be able to do with it, where will you use it? These are important questions to keep in mind for other questions like: should I get a laptop or desktop, how powerful does it need to be, and how much RAM and hard drive space do I need? A fair amount is subjective, but ultimately, work within your budget to get a PC that will do the things you need to do, and you will be happy. The debate when looking to buy a computer should begin thinking about the general form-factor out of which you could make the most: laptop or desktop. It doesn’t end there, but thinking about the answer to that question makes computer shopping that much easier – computer stores can be huge, and the variety of computers can be daunting, so this is an easy way to eliminate half of the herd. If you want the computer to be at all portable, whether it’s using it in different rooms in your house or bringing it along on business trips, then a laptop is a wiser choice. If you want to spec out a permanent space for the computer to include surround sound speakers and a nice large monitor so you can see a lot on your screen, and don’t mind leaving the computer behind when you move throughout your home, then a desktop is the best choice. Contrary to popular myth, laptop computers can be, in fact, upgradable, however, you need to ask that question first before buying; by contrast, desktop computers are widely upgradable. Common upgrades include memory, more powerful CPUs, and more hard drive space, so if you have an easily upgradeable system in mind, you can save some money by buying a less powerful computer today, knowing you can spend a few hundred dollars to upgrade a few parts of it tomorrow when you need that power more. 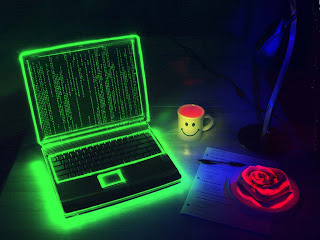 Peripherals, or externally attached accessories like webcams, printers, scanners, portable storage drives and even music players, are easily installed and swapped around using USB, which stands for Universal Serial Bus and allows for the easy connection of these peripherals to computers. Any new computer, whether Apple or IBM, will come with at least two USB ports, but you may need more depending on how many USB peripherals you have to connect up. Take a quick count and add at least one spare USB port for something new in the future – USB ports can be added with either a USB hub, which connects 4 or more USB ports into one on your computer, or more directly with a card of ports that attaches to the computer’s motherboard. Hard drive space is one area in particular where dropping prices have made it easy to stretch your dollar. 5 years ago, top-notch systems came with 10 gig drives which cost around $250 – today, you can get 25 times that much for the same price, where 300 gig drives have dropped below $200 each. That means you can store music, videos, games, all on the same hard drive. For sizes, 40 to 60 gig hard drives should be enough for general home use, giving you enough room to store most anything you’ll play with and needing only a little housecleaning once in a while to keep things tidy; 100 gig and higher capacity drives are better suited to people who are either power users who install tons of software and store dozens of gigs of mp3s on their computer, or those who want to play with graphics design or home studio editing of music and videos which both require a good amount of space. Frankly, at these prices, it usually won’t cost much to get a little more space if you actually think you’ll use it. Memory, known by techies as RAM, has always been considered the easiest way to boost the performance of your PC with the smallest cost; to better explain this, while you are working and switch between programs, your computer uses the memory (fast) to temporarily store all the data instead of hard drive space (slow by comparison). With newer versions of Windows, the amount of RAM you’ll need to have to run things comfortably has moved to 128 megs to 256 megs, but if you plan on using the larger applications that go along with it, or if you plan on having many programs open at the same time, like web browsers, text editors, graphics applications, you will need to seriously consider 512 megs to 1 gig of RAM. 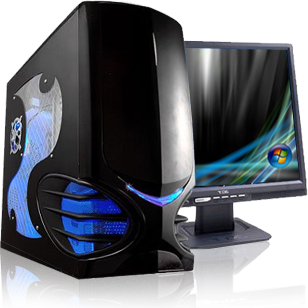 Other choices, including speakers, sound cards and video cards are usually tied directly to what work you intend on doing with a PC. If you intend on writing the next great novel, you probably don’t need a top-notch video card, and you’ll need a full stereo sound card if you want to watch movies or record home music semi-professionally. As for brand and operating system, proponents of each may believe they have the best system, but there are pros and cons of each. Basically, Windows systems have wider hardware compatibility than Apple systems; this has a few ramifications. Windows systems have to be compatible with millions of potential combinations of hardware (this motherboard, with that video card, and the other sound card, etc) and so as a result require more coding to interwork everything properly, thus may appear bloated; by comparison, Apple computers have a far more limited range of hardware choices, which means that the computer can be more efficient with what it’s given and can be used virtually “out of the box”. Linux systems are far more advanced, requiring a fair amount of knowledge to set up, however, once that’s done, they are considerably more stable and powerful and less susceptible to viruses. Despite that, they are usually not used as desktop PCs and are reserved for servers which feed websites or mail onto the Internet. Thanks for Reading! Happy holidays and Happy Computing!